１１月１日って何の日？！/ What day is Nov.1st?! Do you know what day is Nov.1st? Nov.11th is a famous day among Japanese people, as “the day of Pocky*”, but not so many people know about Nov.1st. Nov.1st is “the day of Lighthouse*”. 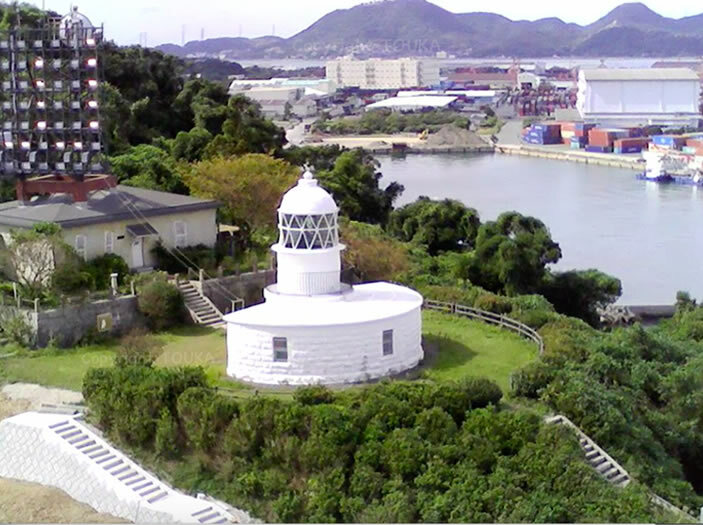 And this year 2018 is the 150th anniversary of Lighthouse in Japan. 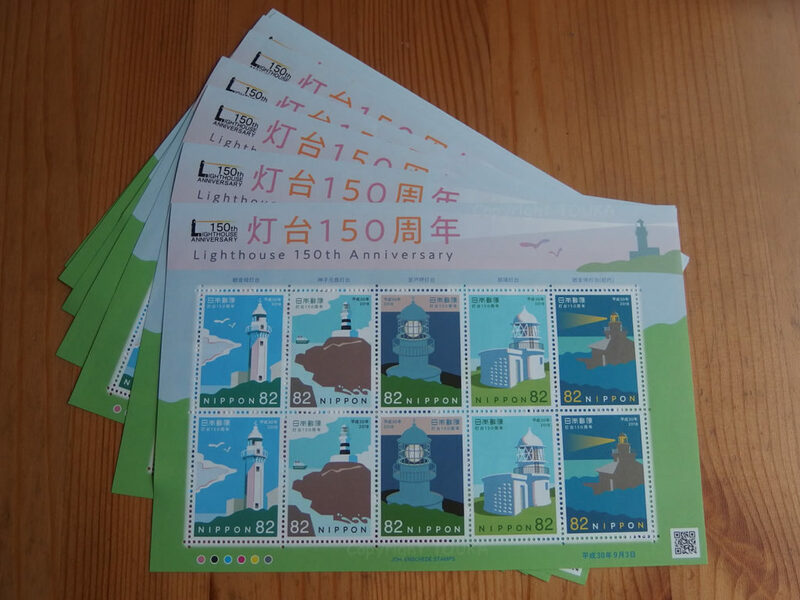 To celebrate the anniversary, Japan post office released “Anniversary post stamps of Lighthouses” last month. 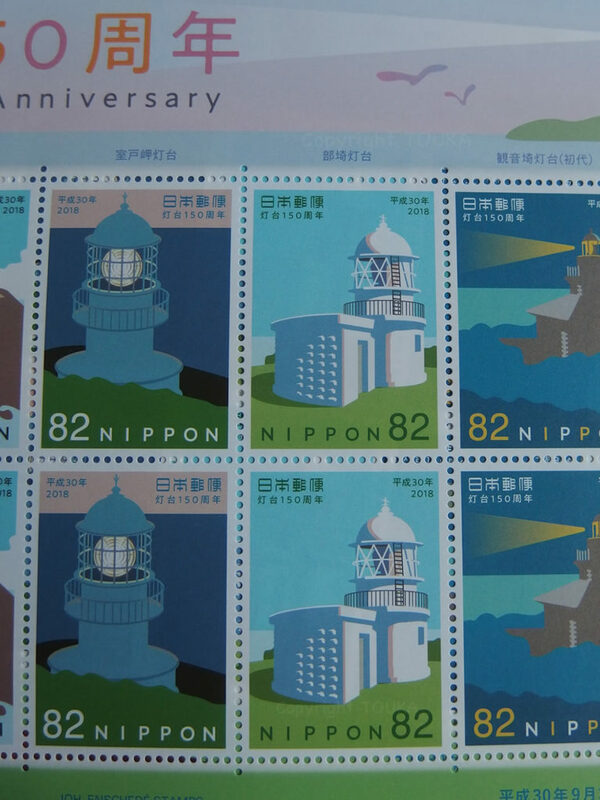 Several famous lighthouses are printed on the stamp and one of them is “HESAKI Lighthouse” which I introduced yesterday. Yes, it is the lighthouse in this town. But unfortunately, we cannot see it nearby on the anniversary day. Because the path to the lighthouse is under construction now. 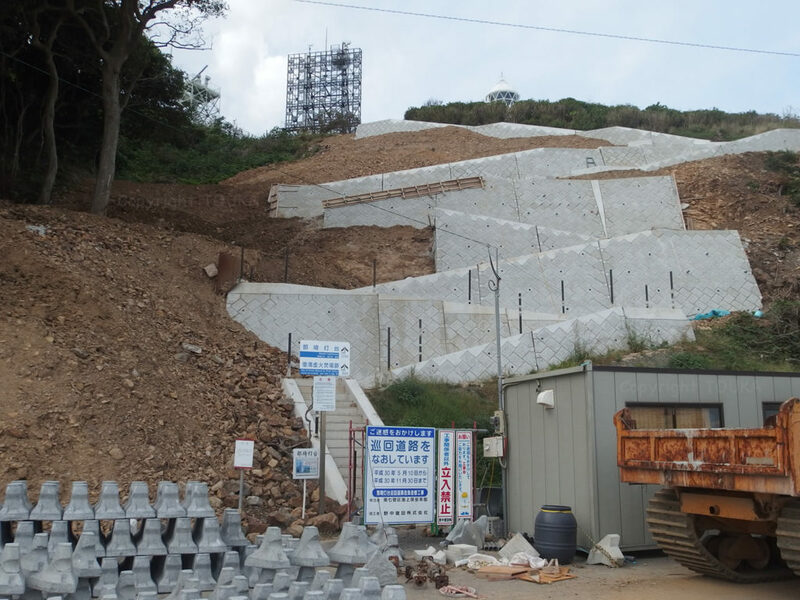 According to the signboard, it will complete end of Nov.30. This town is always like this. 150th anniversary is the day to celebrate the lighthouse but no one can approach it on the day. Each section of local government works individually, no communication/corporation. Such a lovely local governments they are. Thank you and you have a good life, without missing your key day of your life.